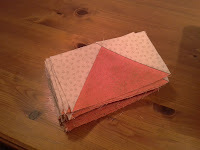 Over the weekend I took all my perfect starched squares and made them up into both rectangle blocks, and flying geese. Once the blocks were put together I very carefully pressed the seams - in fact, I drew the right size retcangle on the ironing board, and pressed them to size to make sure they didn't come out wonky. This evening I paired the rectangle blocks and flying geese together in order to make squares, and pressed them by the same method. Your pieces are looking great! Thank you, Donna - they've had far more care lavished on them than I'd normally bother with, I must say! Goodness, I'm sure your preciseness will pay off! I'll be watching for the next installment. If I can't get an accurate sized top out of this one after this palaver, I don't think I ever will, Sunny! They look wonderful Hazel. 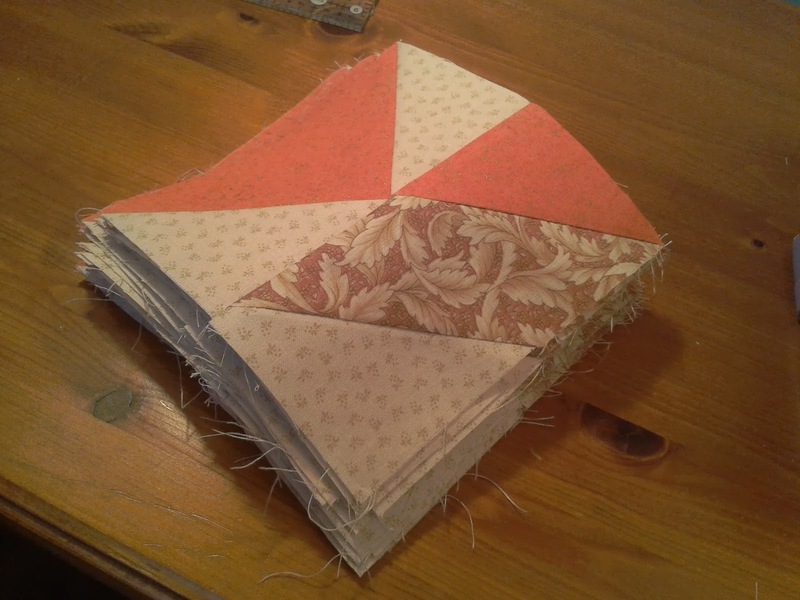 I'm afraid I'd have been tempted to carry on, concentration or not, to "just put one block together", then another, etc, but that's why my stitch ripper and I are such good friends! 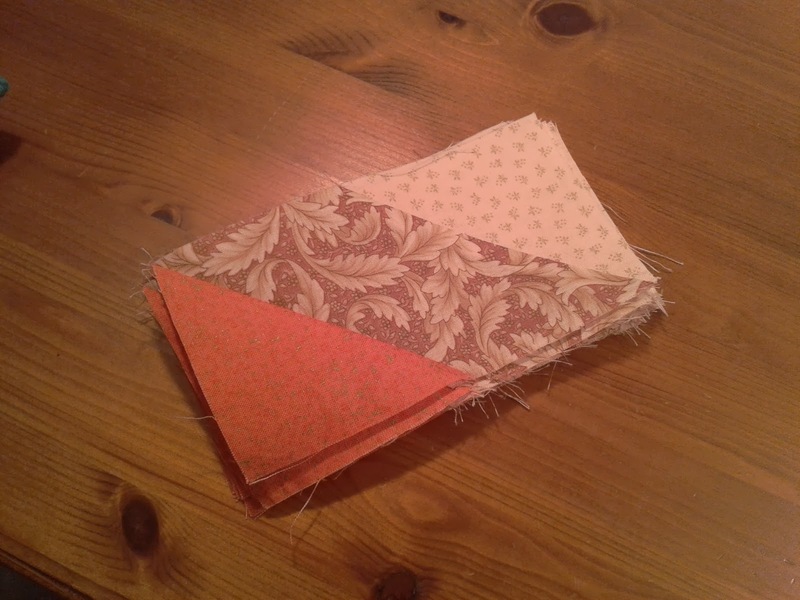 Aha - an instance of that this evening, Sue - I should have stopped at the finished blocks, but went ahead to cut and sew some of the sashing. Let's just say that Percy Unpicker and I are on friendly terms again! Looking good so far and you are right to take a break when you need it. I've done some terrible things when tired. It is so tempting to keep going, Sue, isn't it? Common sense (eventually!) won out this evening, though.